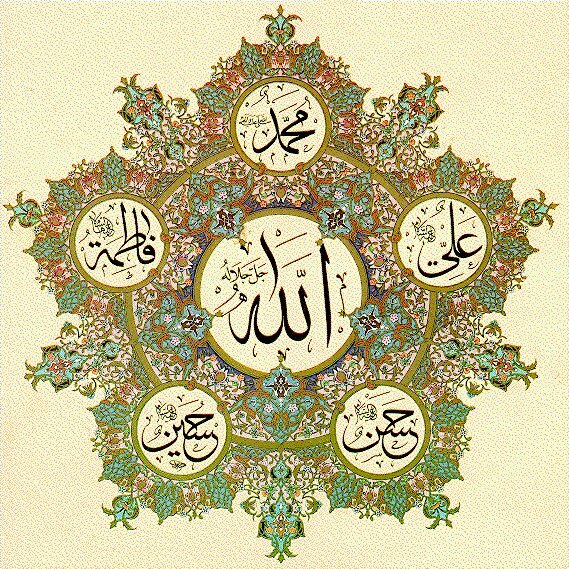 After the wafaat (death) of the 4th Khaleefa (caliph) Hazrat Ali (r.a) in year 40 hijri, the believers (mu’mineen) accepted his elder son, Imaam-e-Hassan as the succeeding Khaleefa. Meanwhile, other muslims who were far away wanted to recognise the great sahaba, Hazrat Ameer Mu’aawiya (r.a) as Khaleefa. Thus, to avoid a confrontation between two groups of muslims, a treaty was signed in Koufa, between the two leaders thus issuing Hazrat Ameer Mu’aawiya (r.a) as the new Khaleefa and that after his death, the khilaafat (caliphate) would go back to Imaam Hassan (r.a), who returned to Madeenah shareef. Meanwhile, the son of Hazrat Ameer Mu’aawiya (r.a), who’s name was Yazeed, he was a tyrant of the worst species and who used to live out of deen, had the bad intention to fraudulently take Khilaafat after his father. Learning the agreement signed between his father and Imaam Hassan (r.a), by jealousy sent one of the his followers, a gangster named Marwaan to poison Imaam Hassan (r.a) who died of this poisoning in the year 49 hijri at the age of 45 ½ years, surrounded by his brother Hazrat Imaam Hussein (r.a) and his family. 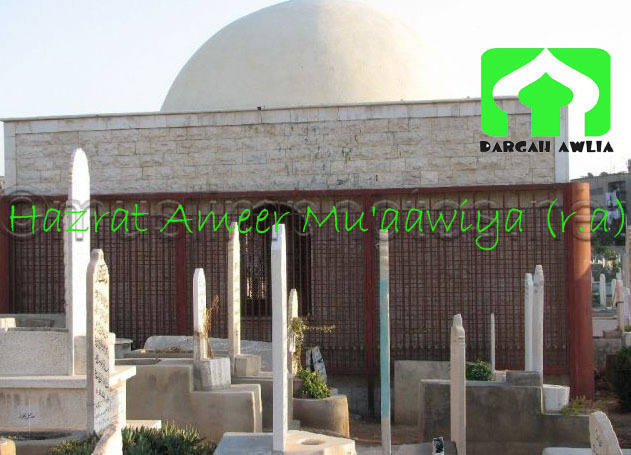 Years later, Khaleefa Hazrat Ameer Mu’aawiya (r.a) died on his turn at the age of 70 years old in Damascus (Syria), in year 60 hijri and his son Yazeed fraudulently got on the throne as Khaleefa by sowing terror with his band of gangsters. He sent a letter to the governor of Madeenah shareef, Waleed-bin-‘Urbaa to ask him to do what is necessary so that Hazrat Imaam Hussein (r.a) accept his khilaafat. The muslims of Madeenah shareef knew well the personality of Yazeed, joined Hazrat Imaam Hussein (r.a) to make opposition to Yazeed. Otherwise all muslims would have made this bad choice. Such a situation provoked the anger of Yazeed far away, who gave the order to assassinate Hazrat Imaam Hussein (r.a), the latter despite all the pressures, did not capitulate in his determination in order not to let badly people to seize the perfect deen-e-Islam taught by his grandfather the holy prophet Hazrat Muhammad Mustwafaa . Meanwhile, muslims from many places, Koufa, Syria etc. wanting to escape from the reign of Yazeed, started to write and come to meet Hazrat Imaam Hussein (r.a) so that he accepts to become caliph and rescue the ummat (people) from the bad hands of Yazeed. Hazrat Imaam Hussein (r.a) who did not aimed for power but was obliged to militate in order not to let gangsters use the deen for their personal recreations. He thus decided to go to Koufa to restore the order and to set free these muslims who were dominated under the dictatorship of Yazeed. But the muslims of Madeenah shareef did not agree that Imaam Hussein (r.a) goes to Koufa, because people there were too dangerous. So he decided to send his cousin Hazrat Muslim bin `Aqeel (r.a) as precursor to Koufa and that afterwards if the news are good, he would go on his turn to Iraq. Accompanied by two of his sons, Hazrat Muslim bin `Aqeel (r.a) reached Koufa and more than 40,000 muslims there took oath confirming to him their request of the arrival of Hazrat Imaam Hussein (r.a). He hastened to send the good news to Hazrat Imaam Hussein (r.a) who prepared himself and his family to set out towards Koufa. By that time, Yazeed learned the news of what occurred, sent his army to resign the governor of Koufa, who was a sahaba, Hazrat Naureman bin Basheer (r.a) and replaced him by a tyrant named Ubaydullah-ibne-Ziad. The latter terrorized the population of Koufa and threaten all its inhabitants so that they give up their engagements. Under these pressures, people ended up by being frightened and gradually these timorous ended up yielding to the pressures of Ziad and the army of Yazeed and by giving up their resistance. In view of the extent of the astounding situation, Hazrat Muslim bin `Aqeel (r.a) worried about the message he sent to Hazrat Imaam Hussein (r.a), decided to go to see Ziad the governor to negotiate and to take bearings on the situation. This dishonest governor took advantage of this visit to make atrociously assassinate Hazrat Muslim bin `Aqeel and his two young sons in his palace. This was on the 3rd of Zil-Hijjah of the year 60 hijri. Hazrat Imaam Hussein (r.a) as for him, being completely unaware about the catastrophic situation in Koufa, set out with his family the same day of the assassination of his cousin. The caravan comprised more than 70 members of Ahle-Bayts and other companions of the voyage. They were quite advanced on their way when they met a traveller coming from Koufa who inform them about the assassination of Hazrat Muslim bin `Aqeel (r.a) and his two sons as well as the reversal of the koufis (the people of koufa). Full of sadness and astonishment, Hazrat Imaam Hussein (r.a) knew the course of the destiny and they decided to carry on their way towards their goal to make justice and to preserved the deen-e-Islam which was threatened under Yazeed, Ziad and their bands of crooks. Yazeed sent an army accompanied by Houre to make Hazrat Imaam Hussein (r.a) and his family as prisoners. Houre and his soldiers arrived at Hazrat Imaam Hussein (r.a) who showed them his step towards the population of Koufa supposedly faithful. Houre who had the muhabbat for Ahle-Bayts in his heart acknowledged that and found his task ungrateful and did not agree fundamentally with Yazeed and his partisans, advised Hazrat Imaam Hussein (r.a) to turn back although the latter was determined. At the same moment, a messenger sent by Yazeed arrived and handed a letter to Houre, in which Yazeed requested him not to let Hazrat Imaam Hussein (r.a) and his companions to enter Koufa, nor to let them go back! Houre showed the letter to Hazrat Imaam Hussein (r.a) and also could not openly show his attachment in front of the other soldiers who accompanied him, did informed Hazrat Imaam Hussein (r.a) that he was going to take sanctions against him the following day. However, he proposed Hazrat Imaam Hussein (r.a), to take his family quietly during the night and to leave in the darkness while his soldiers would sleep. All occurred as foreseen and thus the caravan of Hazrat Imaam Hussein (r.a) left towards the unknown in the evening and were found lost the following day in a strange place in the desert thus not very welcoming. 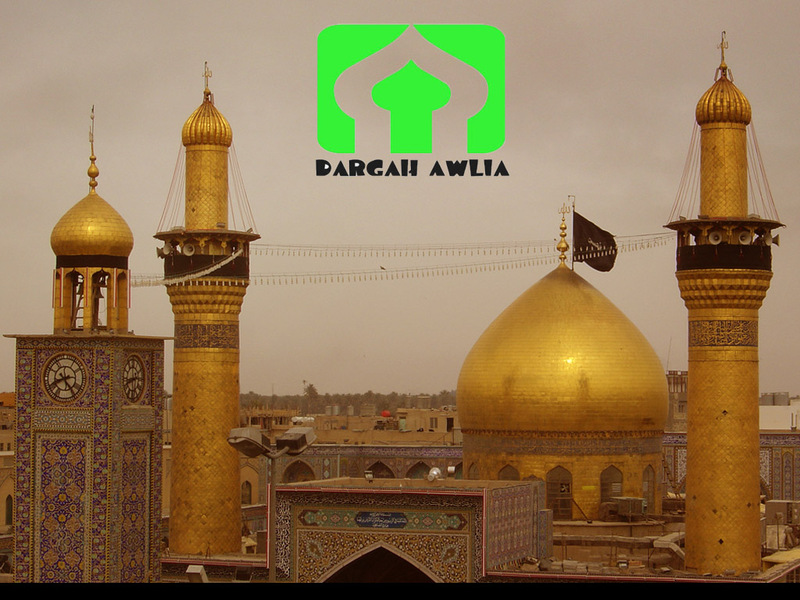 Having asked a person of the area, they learned that the place was called Karbala and immediately Hazrat Imaam Hussein (r.a) understood that he had arrived on the place fixed by the destiny. He made a speech in front of all his large family of the caravan and asked them to be armed with patience because the days and the hours which were going to follow would be atrocious, this was the 2nd Muharram of the year 61 hijri. Meanwhile Ziyad learned about the arrival from Hazrat Imaam Hussein (r.a) in Karbala sent a strong army of 22,000 armed soldiers lead by Aumare bin Sarad who though was a believer (son of a sahaba), but tempted by wealth and a position of governor ended up agreeing to lead this army, which reached Karbala the 7th of Muharram. Hazrat Imaam Hussein (r.a) decided not to begin the confrontations in order not shoulder the responsibility of attacking, because it was not in his intention to make the war. But the army of excited criminals all started to call Hazrat Imaam Hussein (r.a) with the challenge of the war. The latter understood that his companions and himself had appointment with their destiny. One by one, those who accompanied the muslims went on the battle field and eliminated a great number of the unfaithfuls. The army knew that in order to be able to overcome these fierce muslims, though weakened by 3 days without water, it was necessary each time, for the unfaithful army to surround the muslim to assassinate him. In spite of this trick, the members of Ahle-Bayts were so valiants that the chief of the bad army was afraid to lose all their soldiers if they continue to send their soldiers one by one to measure their strenghs with these valiant muslims. Alas, after the assassination of more than 70 of the members of Ahlé-Bayts, Hazrat Imaam Hussäyn (r.a) had to prepare himself for the final battle. He attached the amaamah (turban) of the holy Prophet , took the sword of Hazrat Ali (r.a) and of the shield of Hazrat Hamza (r.a). 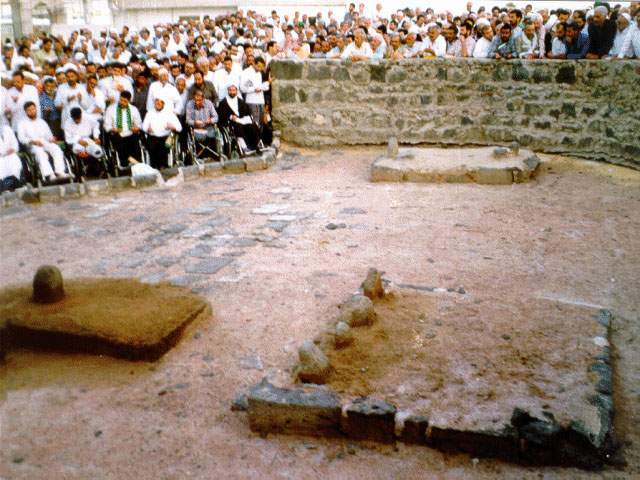 He spoke a last time to the remaining members of his family, talked to the women and old men who remained in the background, taled to his son Hazrat Zaynoul ‘Aabedeen (r.a) who was sick and thus not authorized to take part in the battle, because he was predestined to make follow the descendance of the holy Prophet , the famous Ahle-Bayts. Hazrat Imaam Hussein (r.a) presented himself on the battle field and could eliminate the unfaithfuls so well that the chief of the army extremely feared that if that continues, all his army would go through, especially that Hazrat Imaam Hussein (r.a) did not weaken therefore. The strategic trick used against him was the same used against the others, i.e. they went by hundreds and did encircle him to attack him within distances. They started by mortally wounding his horse and himself with blow of arrows, till they were both all into blood. The horse could not move anymore and ended up by dying and even immobilized, nobody dared to approach Hazrat Imaam Hussein (r.a). Staying within distance, they continued to throw arrows and spades to him. Hazrat Imaam Hussein (r.a) was in such an appressive situation when a criminal throwed an arrow which penetrated his blessed head. With this supplementary injury which was added to the many others, Hazrat Imaam Hussein (r.a) was completely lying in a pool of his own blood. Weakened by more than 72 wounds to the body, Hazrat Imaam Hussein (r.a) fell on the ground. It is the moment that a criminal chosed to strike the grandson of the holy Prophet with a blow of spade to the chest. Suffering from the serious injuries, Hazrat Imaam Hussein (r.a) made the sajdah (prostration) for his creator. Another criminal named Nadeer ibne Kharshash approached with the intention to separate the head of Hazrat Imaam Hussein (r.a) from his blessed body, but his hands trembled and the sword dropped out of his hand. 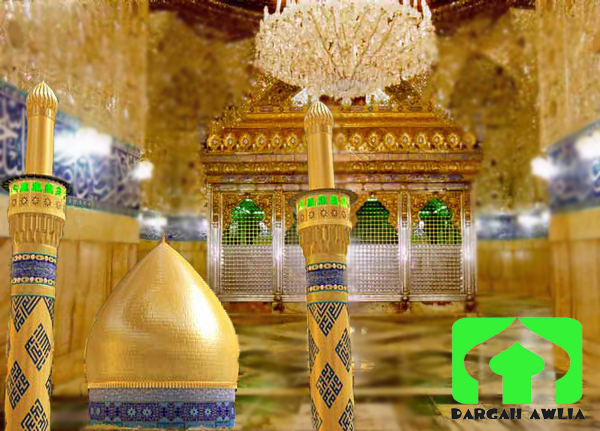 The blessed head of Hazrat Imaam Hussein (r.a) was decapitated by Khouli ibne Yazeed or Shabil ibne Yazeed who did it with blow of sword while Hazrat Imaam Hussein (r.a) was making the sajdah because it was also the time of Jummah and at the same time the ummat (muslim people) was in prostration for the namaz of Jummah. 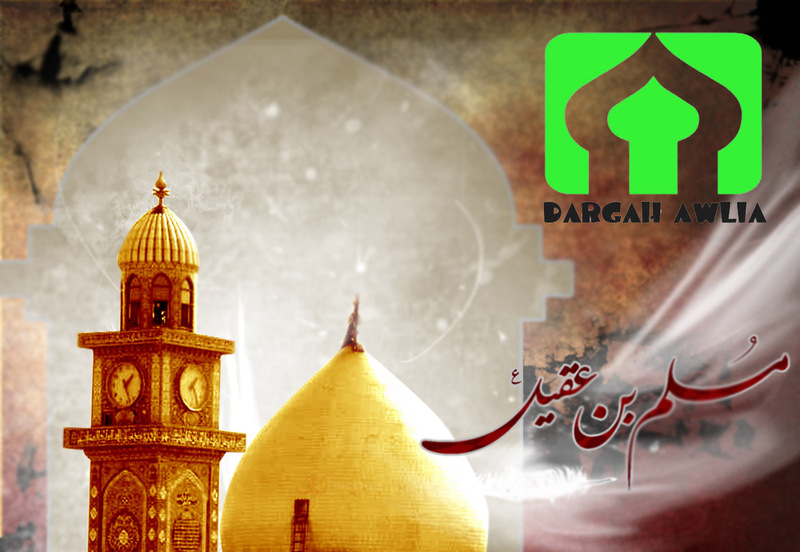 Thus Hazrat Imaam Hussein (r.a) fell down as the last martyr of Karbala, at the age of 56 years, 5 months and 5 days. His body is resting in Karbala-mu’allaa whilst his blessed head was dafann (burried) later on in the qabarastaan of Jannat-ul-Baqi’ in Madinah shareef. Many great events followed Karbala, Yazeed and his partisans made great festivals everywhere in Koufa to celebrate their “victory” and danced everywhere with the blessed head of Hazrat Imaam Hussein (r.a) fixed on a spade, while the members of Ahle-Bayts continued to endure miseries and lack of respect from Yazeed and his followers. The Ahle-bayt members were released only afterwards. These tyrants made other battles and made bloodshed of muslims everywhere by sowing terror. Kind of justice, was only restored later when the muslims started to react and imagine their serious error in the context of the event of Karbalaa and the shahaadat (martyr) of Hazrat Imaam Hussein (r.a). Unfortunately, many Ahle-Bayts had to pay their lives to protect true Islam in order that the muslims to awake finally. It is Hazrat Mukhtaar bin Oubayd (r.a) who afterwards, took the leadership of the muslim forces and fortunately dethroned Yazeed and his partisans, to restore the order thus taking sanctions against the criminals. The great Pakistani poet, Hazrat Allaamaa Iqbal wrote this sentence: “Islaam zinda hota hai harr Karbala ké baad” which means: Islam will live again with after each “Karbala” (difficult moment). The event of Karbala must remain engraved in our memories and those of our children, because our faith must permanently remain awake! And it is for that reason that our grandparents (who were all sunnees), who came from India did institute the session of majliss every year at the time of Muharram to remind the event of Karbala in our minds (especially our young ones) and to awake our faith, which in modern times, has a declining tendancy. May almighty Allah ta’ala protects all of us. Aameen.